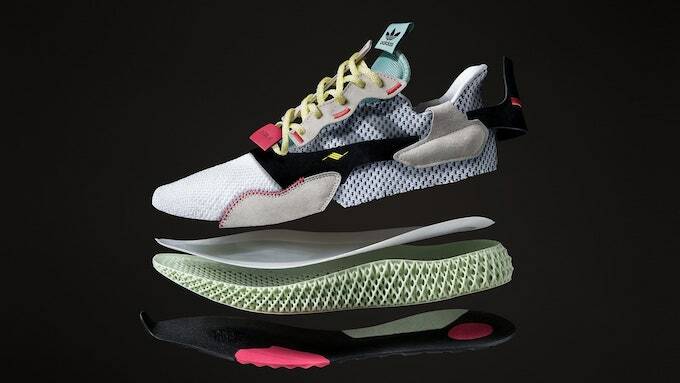 Led by designer Jacques Chassaing, the ZX series was a series of groundbreaking shoes that targeted different types of runners with designs that focused on varying terrains, distance and speeds. This was made possible by swopping and changing the shoe’s weight, outsoles, heel support, and padding for each disciple and focus. The original ZX4000 was released in 1989 with both training and competition in mind. 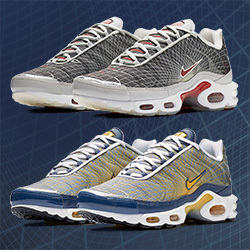 It featured a perforated suede and nylon foam Polypag mesh, and was kitted out with Soft Cell technology and a Kevlar Torsion bar. Now, three decades later, the model gets a contemporary update for 2019. 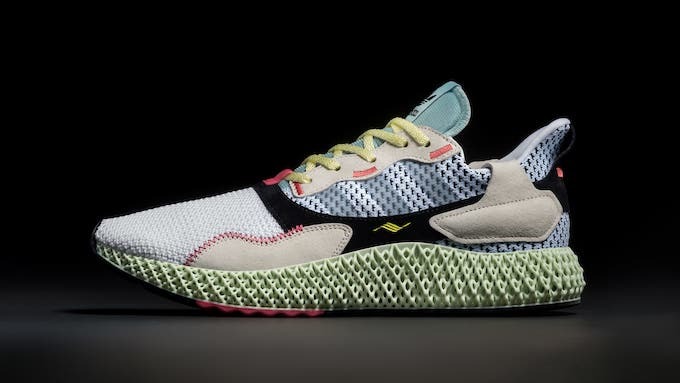 Borrowing the Futurecraft’s minty 4D-printed midsole, this new ZX4000 houses a semi-woven upper which sits across suede panels and a knitted toebox, with exposed stitching and patchwork throughout. A woirthy upgrade to one of the finest members of the ZX series. 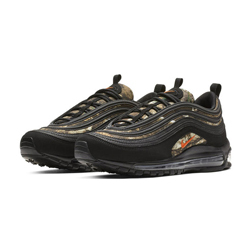 Watch this one fly off the shelves when it drops this weekend. 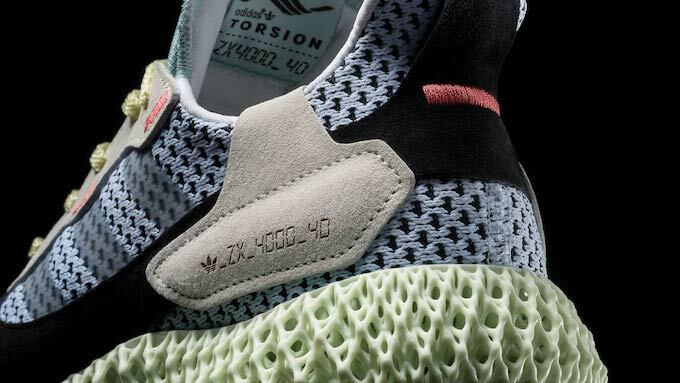 The ADIDAS CONSORTIUM ZX4000 4D is set to release on SATURDAY 9 FEBRUARY: hit the banner below to find out where you can pick up a pair.